Editor’s Note: Niko Marcich was an alternate in the cycle of Fulbright Scholarships US Student Award presented in the spring of 2018. He was notified in February 2019 that he was promoted to a recipient and his information was added to the roundup. Sixteen University of Virginia scholars will pursue their work on foreign shores with the help of the Fulbright U.S. Student Program this year – a record number for UVA, which recently was cited among the top producers of Fulbright recipients in the nation. The U.S. Department of State and the J. William Fulbright Foreign Scholarship Board offered the grants to the UVA alumni and students, who will be among the more than 1,900 U.S. citizens who will travel abroad for the 2018-19 academic year. UVA’s Fulbright recipients will teach English in foreign countries such as Argentina, Georgia and Sri Lanka, or pursue research and graduate study in Cambodia and the United Kingdom. “This is fantastic to have so many of our students and alumni rewarded for their hard work in discerning their fit for and pursuing the Fulbright,” said Andrus G. Ashoo, who directs UVA’s Office of Citizen-Scholar Development. The Fulbright program is the flagship international educational exchange program sponsored by the U.S. government and is designed to increase mutual understanding between the people of the United States and the people of other countries. Its primary source of funding is an annual appropriation made by Congress to the State Department’s Bureau of Educational and Cultural Affairs; participating governments and host institutions, corporations and foundations in foreign countries and in the U.S. also provide direct and indirect support. Magdalene Mary Beck of Milwaukee, who graduated in May with a double major in the politics honors program and Spanish, will serve as an English teaching assistant in Argentina. An Echols Scholar, Beck was a member of the Raven Society and UVA’s chapter of Sigma Delta Pi, the national collegiate Hispanic honor society; the University Judiciary Committee; ULINK Peer Advising; Political Latinxs United for Movement and Action in Society; and the Women’s Leadership Development Program. 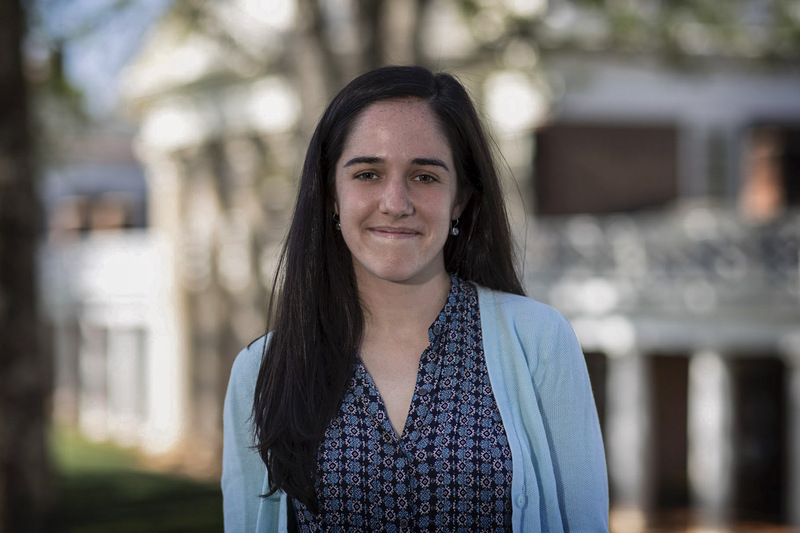 She volunteered at Madison House’s Latino and Migrant Aid Hispanic Family Night and was an intern at the UVA Center for Politics, and a discussion facilitator at a juvenile correctional facility for UVA’s “Books Behind Bars” program. She was also head design editor at Seriatim: Journal of American Politics and The Wilson Journal of International Affairs. The Columbia Undergraduate Law Review published her paper, “Justice Scalia’s Jurisprudence in the Guantanamo Cases” – one of four papers worldwide published in the spring 2017 issue – and she had a short story published in the Young Writers Literary Journal. A graduate of Nicolet High School, Beck plans a career in the law. Megan Mason Dister of Norfolk, who graduated in May as a global studies in environments and sustainability major, will work as an English teaching assistant in Kenya. An Echols Scholar, Dister has been director of Growing for Change, an organization that co-designs individual family gardens in a public housing neighborhood, and co-teacher and designer of a student-led course, “Development Through Revolution: Exploring Food Justice in Charlottesville.” She was president of UVA’s chapter of To Write Love On Her Arms, an international nonprofit organization finding help for those struggling with depression, addiction, self-injury and suicide; and a mentor for Big Brothers Big Sisters of the Central Blue Ridge. A graduate of Maury High School, she wants to pursue a career related to environmental nonprofit work, environmental law or development work. Sarah Dugan of Wayne, Illinois, a 2016 biology and global development studies graduate, will be an English teaching assistant in Indonesia. An Echols Scholar, Dugan was a member of the Engineering Students Without Borders, a student research team; director of Volunteers with International Students, Staff and Scholars’ ESL program; and Phi Beta Kappa. She was a Madison House volunteer and received Intermediate Honors, a Parents Fund Internship Grant in 2014 and 2015, a Jefferson Public Citizen Award and a Minerva Award, which funds scholarly research projects during the summer. She was an undergraduate research assistant in the lab of biology professor Sarah Kucenas, studied Mandarin Chinese and environmental sustainability in Beijing and worked with non-governmental organizations in Ecuador and Uganda. A graduate of St. Charles East High School, she plans graduate study in medicine and public health. “I hope to pursue a career that allows me to practice clinical medicine, research the social and environmental determinants of health and collaborate with communities in the pursuit of health equity and the reduction of health disparities,” she said. Addie C. Eliades of Hopewell, a 2017 graduate who had been an English major, will be an English teaching assistant in Brazil and will lead a creative writing workshop. “I have a fascination with languages, as well as with creative literary composition,” she said. “The teaching assistantship will bolster the instructional and curriculum-building skills I need to become a successful teacher of language arts. Meanwhile, the intensive immersion in Brazilian culture and lifestyle will fuel my next writing project, maybe my future M.F.A. poetry thesis. A former writer for The Declaration newsmagazine, Eliades was a recipient of the 2017 Rachel St. Paul Poetry Prize and two honorable mentions from the annual Fralin Art Museum Writer’s Eye Contest. Her poetry was published in The Virginia Literary Review and 3.7 Literary Magazine and she was resident poetry teacher and camp counselor at the Curry School of Education’s Young Writers’ Workshop. She volunteered as a homework helper in the Madison House Latinx and Migrant Aid Program, and performed with the University Dance Club and First Year Players musical theater group. A graduate of the Appomattox Regional Governor’s School for the Arts and Technology, she plans to pursue a Master of Fine Arts degree and a Ph.D. in poetry, with the aspiration to teach creative writing. Eliades applied for the scholarship three times and credits one of her mentors for the idea of applying, a process that taught her humility, a willingness to improve and perseverance. Annie Glenney of Charlotte, North Carolina, who graduated in May as a distinguished major in Spanish, will spend a year as an English teaching assistant in Portugal. “The Fulbright will give me the opportunity to become proficient in Portuguese, which I plan to use in my career as a doctor,” she said. “I want to work to serve underprivileged populations, which is part of why I studied Spanish undergrad. Learning Portuguese will enable me to help a larger population of people as a doctor. 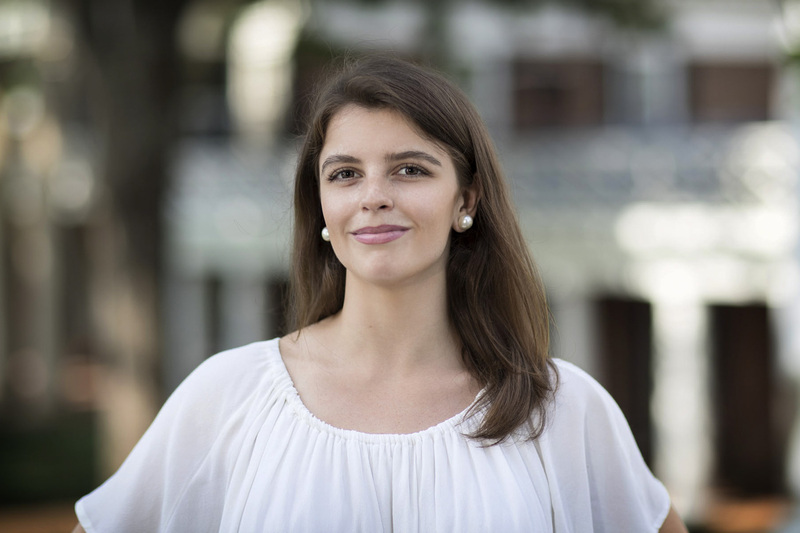 She became interested in the Fulbright program and in studying foreign language after studying abroad in Chile the summer after her first year at UVA. Glenney volunteers as an EMT with the Charlottesville-Albemarle Rescue Squad. For all four her years at UVA, she was a volunteer with the Latino and Migrant Aid Program through Madison House, where she taught English to recent immigrants. This spring, she began working as a staff writer for the Virginia Journal of Bioethics. She was a recipient of the Liz Murray Academic and Athletic scholarship. Glenney graduated with high distinction after completing her honors thesis in Spanish on U.S. interventions in Chilean politics in the 1970s. She now works for Stephen D. Hursting, professor in the Department of Nutrition and the Lineberger Comprehensive Cancer Center at the University of North Carolina at Chapel Hill, where she helps research diet and gene interactions using molecular, genomic and metabolomic tools. A graduate of Myers Park High School, she plans to attend medical school. Christian D.G. Goodwin of Richmond, who graduated in May with a degree in human biology, will pursue a master’s degree in public health from the University of Liverpool. While he is in Liverpool, he wants to examine how other countries handle these issues. Goodwin also plans to explore the cultural and social sides of the city. Goodwin has been a member of Shakespeare on the Lawn; a bus driver for the University Transit System; and a recipient of Institute for Practical Ethics Grant and the Sean Bryant Scholarship. He is a member of the Raven Society and Phi Beta Kappa, and worked on the communication workshop series in the School of Medicine. He also worked as a home health aide in Charlottesville; was an intern and is a current research assistant at Ariadne Labs, a research lab at the Harvard School of Public Health; and an intern to the director of health law and medical ethics at UVA. He has also worked as a freelance writer for Eli Global, producing articles on health care regulation and policy. A graduate of Maggie Walker Governor’s School, Goodwin plans to pursue a medical degree. 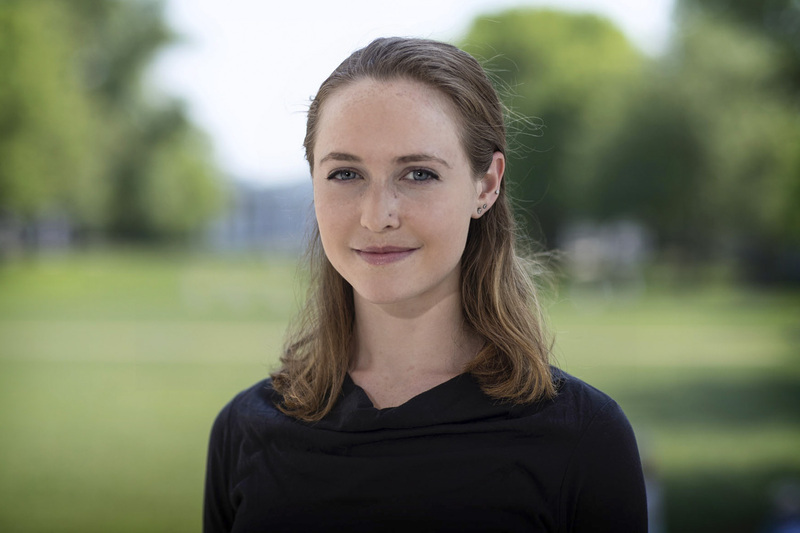 Maggie Gratz of Doylestown, Pennsylvania, a May graduate of the accelerated Master of Public Policy program in UVA’s Frank Batten School of Leadership and Public Policy, will be an English teaching assistant in Jaffna, Sri Lanka. Gratz is no stranger to Asia. She studied abroad in Thailand and conducted research alongside an agricultural development organization in Cambodia through a Jefferson Public Citizens grant. 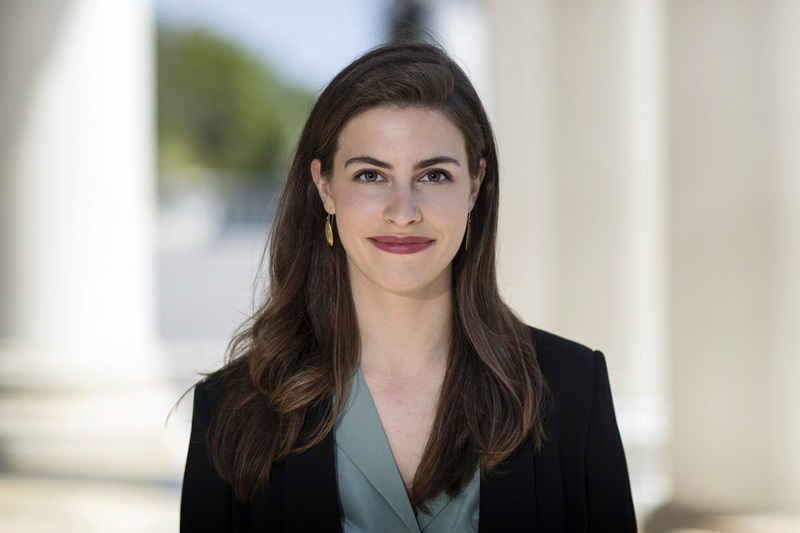 As a graduate student, Gratz has been president of the Batten Graduate Council, a Tri-Sector Leadership Fellow, a Class of 2017 trustee, a graduate teaching assistant and a senior editor of Virginia Policy Review, and consistently appeared on the Dean’s List. As an undergraduate, she was president of Students Helping Honduras and a member of the University Guide Service, the Class Councils, the women’s club basketball team and the Alpha Chi Omega sorority. She was an advocate and peer educator for One Less, which provides educational resources on sexual assault, respect and consent. She is a member of Phi Beta Kappa, the Raven Society and the I.M.P. Society. She served as an orientation leader and won the inaugural Kishore Memorial Scholarship Award. A graduate of Central Bucks West High School, she wants to work in the field of international development. Jenné Vanessa Nurse of Richmond, who graduated in 2017 with an undergraduate degree in psychology from the College of Arts & Sciences and a graduate degree in elementary education from the Curry School of Education, will be an English teaching assistant in South Africa. She said her interest in South Africa blossomed when she was in elementary school. “Growing up, my world view was limited to the corner store bodegas and backyard barbeques typical of Queens, New York,” she said. “But my perspective drastically changed when I met my childhood best friend. Originally from South Africa, she tapped into my imagination with stories of her home country. One of Nurse’s priorities is to share her travel experiences, through anecdotes and instruction, with her students. “Most students I’ve taught, and those I wish to teach once back stateside, have rarely traveled outside of their neighborhoods,” she said. “Venturing abroad seems out of reach – or sometimes worse, never crosses their minds. When I traveled to Ghana, I sent a postcard to the children I student-taught at the time; the excitement that was displayed by a roar of gasps and 17 third-graders jumping up and down was priceless. But, more importantly, it sparked a conversation that encouraged global-mindedness and acceptance. At UVA, Nurse received the Image Awards Outstanding Mentor Award, the Curry School’s Caitlin R. Folan Graduate Fellowship, the Ladies in Leadership Award, the Community Foundation of Central Virginia Scholarship, the UVA Harambee Academic Award and the University of Richmond National Pan-Hellenic Council Alumnae Book Award. 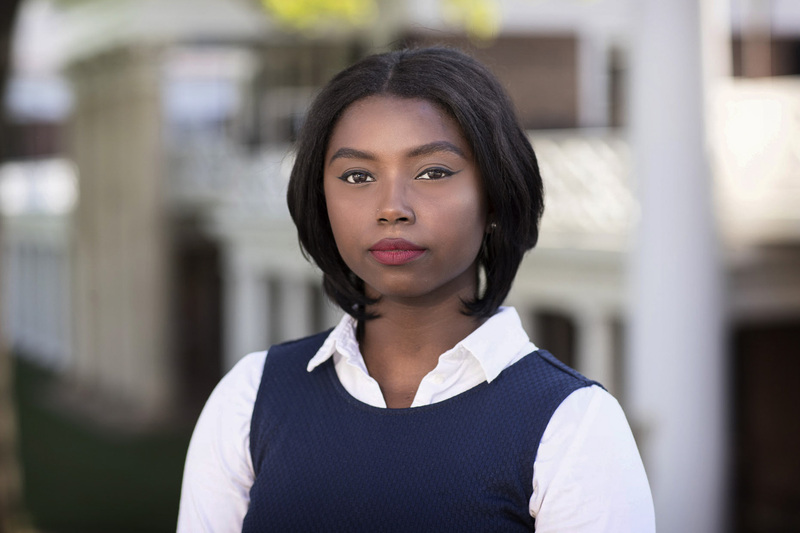 She was president of the UVA chapter of the NAACP, a Class of 2016 trustee, a senior peer adviser for the Office of African American Affairs Peer Advising Program and a member of SABLE, a secret society on Grounds. A graduate of Henrico High School, she plans to pursue a doctoral degree in education. Patrice Grimes, associate dean in the Office of African-American Affairs and an associate professor in the Curry School, was Nurse’s academic adviser and foresees great things in her future. Lilian Roth of Vienna, who graduated in May with degrees in global development studies and Spanish, will be an English teaching assistant in Spain. She said working in Spain will bring a more practical focus to the theories and ideas she had discussed in her global development and Spanish language courses. 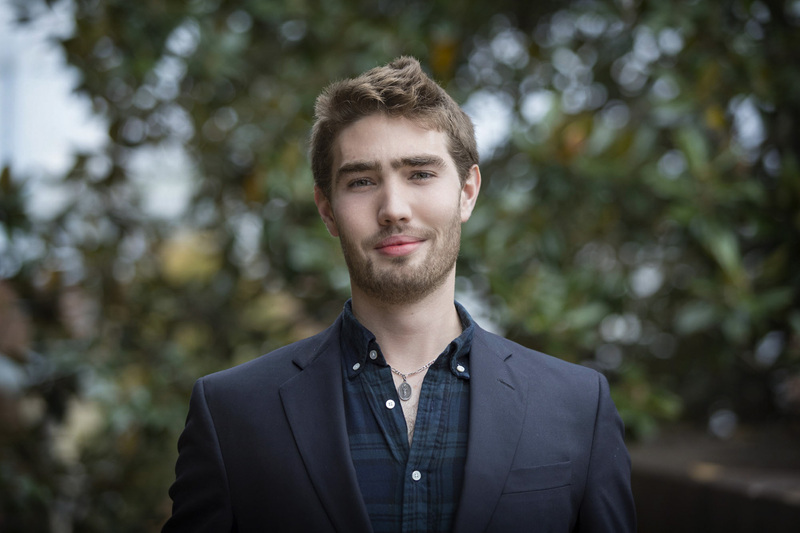 An Echols Scholar, Roth was a member of the University Guide Service, Volunteers with International Students and Staff, and TEDxUVA, and worked as a career peer educator at the UVA Career Center. 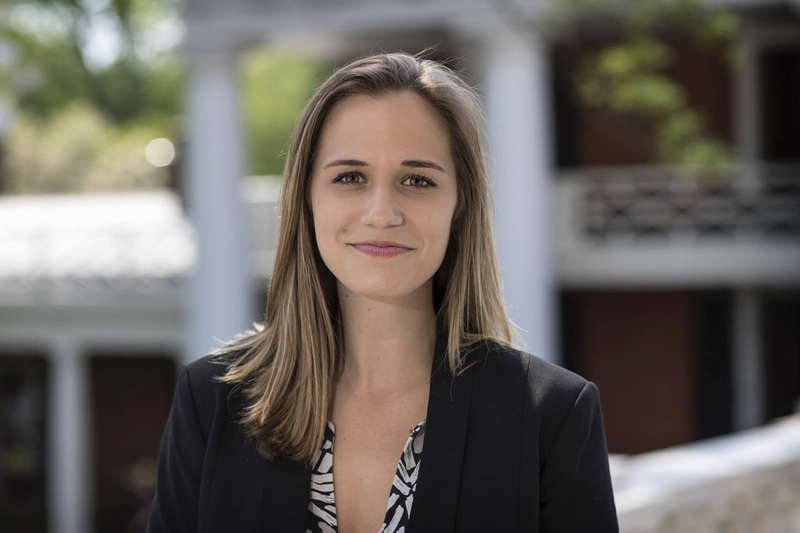 She received a Double ’Hoo grant for a research project titled “From Bloomers to Pantsuits: Gender in American Politics from 1856 to 2016,” and was involved with UVA Drama Department productions. She was a teaching fellow with the education non-profit Breakthrough New York, studied in Madrid and worked for two summers as a trade policy analyst with the United Parcel Service at its international headquarters in Brussels, Belgium. She is a graduate of George C. Marshall High School. 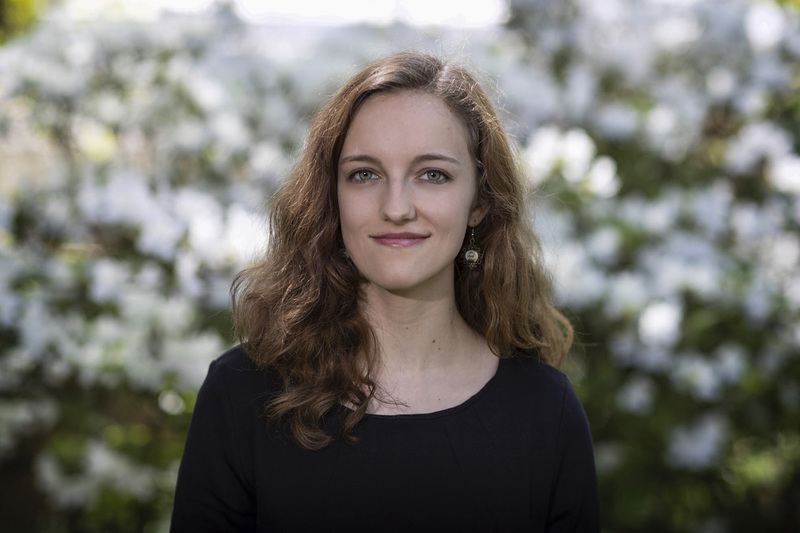 Sarah Elisabeth Russell of Charleston, South Carolina, who graduated in May as an art history and Spanish major, will be an English teaching assistant in Spain. At UVA, Russell was a member of Phi Beta Kappa and the Raven Society. She worked at the Fralin Museum of Art as a docent and intern. She was a Latino and Migrant Aid volunteer tutor through Madison House and an Early Visions student mentor at the Fralin. A graduate of Wando High School, she plans on pursuing a graduate degree in art history after teaching abroad for a year. Lawrence O. Goedde, a professor of art history and chair of the McIntire Department of Art, said Russell is a delight to work with. Scarlett Saunders of Norfolk, a 2017 graduate who majored in politics and history, will be an English teaching assistant in Brazil. An Echols Scholar, Saunders was a member of the Alpha Phi Omega service fraternity, Shakespeare on the Lawn, the Outdoors Club, the Climate Action Society (now the Virginia Student Environmental Coalition) and the Raven Society. She worked as a Presidential Recordings Program intern at the Miller Center and studied abroad in Spain. A graduate of Maury High School, she plans to attend graduate school, possibly for public policy and/or social work. “While still deciding on my exact career, I hope to promote social justice, whether through a non-profit or non-governmental organization,” Saunders said. 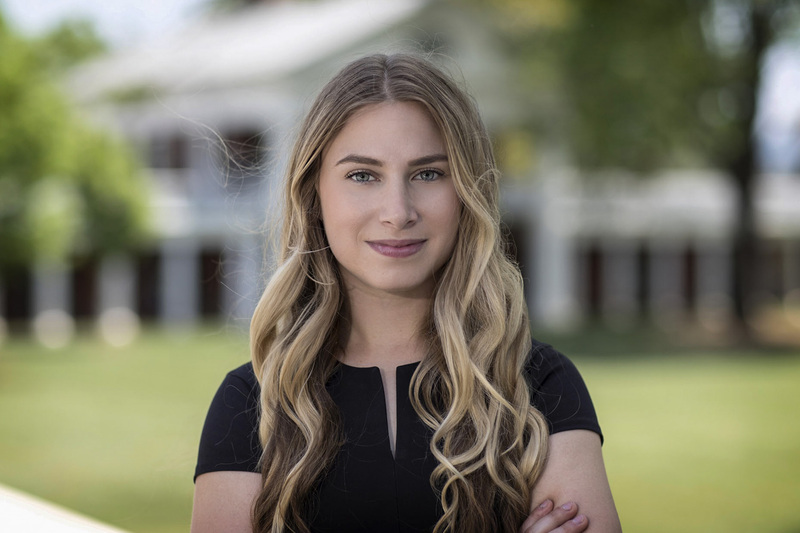 Lena Schulhofer of Las Vegas, who graduated in May as a distinguished major in psychology and also majored in history, will study and research violence and victimization from different theoretical perspectives at the American University in Phnom Penh, Cambodia. She also will help plan the annual conference for the International Association of Genocide Scholars, to be held in Phnom Penh in 2019. “The best way I will facilitate my understanding of, and integration into, the local community is through volunteering at local health care organizations in Phnom Penh,” she said. An Echols Scholar and a Jefferson Scholar, Schulhofer was a four-year member and most recent president of the Echols Council; a research assistant for UVA’s Global Mental Health Project and Initiative on Religion, Politics and Conflict; a volunteer at Ndera Psychiatric Hospital, the first mental health treatment facility for genocide survivors in Kigali, Rwanda; an intern for Generation Rise, a nongovernmental organizations working in collaboration with secondary schools to empower women through literacy programs, in Kigali; an intern for Blue Ridge First Step, an intensive outpatient program for substance abuse in Charlottesville; a summer intern for former U.S. Sen. Harry Reid; and a member of Psi Chi, the psychology honor society. A graduate of The Meadows School, she hopes to enter the field of post-conflict reconciliation. Meret S. Hofer, a Ph.D. candidate in community psychology and prevention research in the Department of Psychology, cited Schulhofer’s passion and care for the people around her and how well she masters multiple projects. 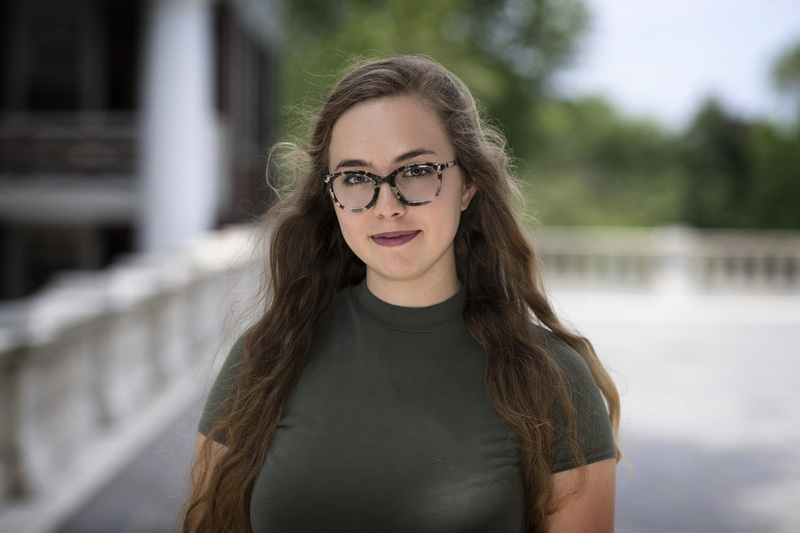 Mary Grace Sheers of McLean, who graduated in May as a linguistics student and a political and social thought major with a focus on disability theory and education policy, will be an English teaching assistant in Thailand. An Echols Scholar and a Jefferson Scholar, Sheers was a chair and moderator for Sustained Dialogue; co-founder of Converge, a student-run group that facilitates dialogues between opposing political viewpoints; senior resident and resident assistant for Housing and Residence Life; and an English tutor for Volunteers with International Students, Staff and Scholars. She was an intern at the District of Columbia Public Schools. A graduate of Holton-Arms School, Sheers plans to work as a teacher, administrator and curriculum coordinator for students who speak languages other than English in the U.S.
Elizabeth Wittner, academic director and International Teaching Assistant program coordinator at the Center for American English Language and Culture, worked with Sheers during her Teaching English to Speakers of Other Languages certification process. Sheers assisted one of her students with her citizenship process and co-wrote a Swahili-based citizenship study packet that VISAS continues to use. 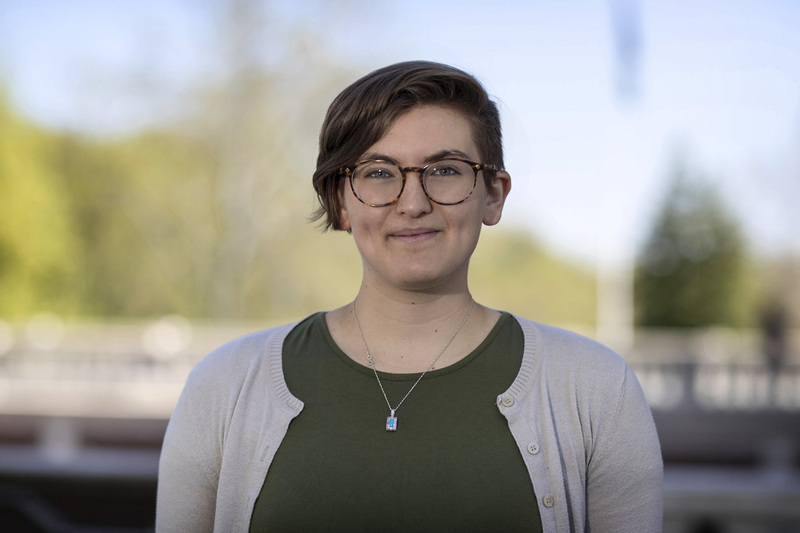 Kelly Slatery of Alexandria, who graduated in May as a double major in cognitive science (with a concentration in linguistics) and East Asian studies (concentrating on China), will work in Taiwan as an English teaching assistant. Slatery was a member of Phi Beta Kappa and the Raven Society, and was program coordinator for Volunteers with International Students, Staff, and Scholars; and a co-founder of Contemplation@UVA, a student group working to build a community that supports healthy living, self-exploration and connection through contemplative practices. She was involved with Chinese Corner; and the Virginia Women’s Chorus. She worked as a student intern at the Contemplative Sciences Center and as a research assistant at the UVA Augmentative and Alternative Communication Lab. She has received the UVA ISO Scholarship; the IFSA-Butler International Correspondent Award and the Mike Owens NAFSA Award for Young Professionals. 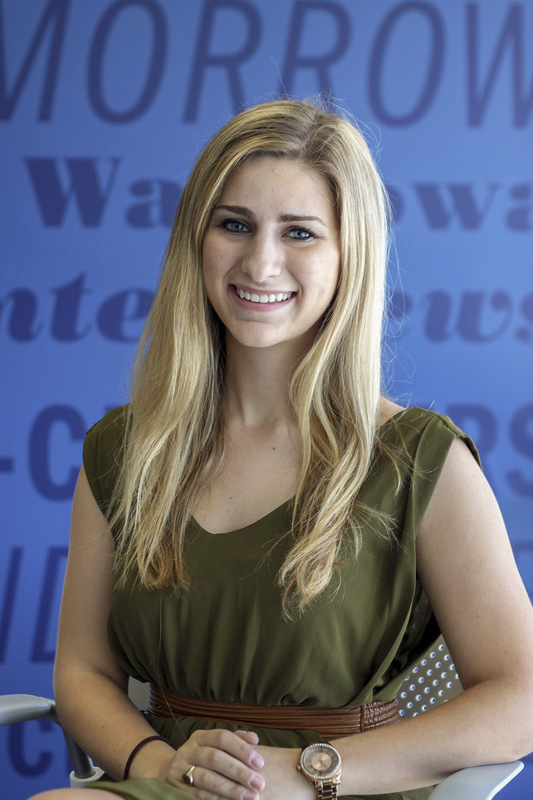 A graduate of the West Potomac High School, she plans to pursue a career in international education. Ran Zhao, an assistant professor in the East Asian Languages, Literatures and Cultures, described Slatery is one of the best students in the Chinese language program in recent years. Cameron Tarry of Richmond, who graduated in May as a double major in history and Russian language and literature, will be an English teaching assistant in Georgia. “I’m excited to build on what I’ve learned in my majors in a real-word context,” she said. “Since I’d like to pursue a career related to international relations, the opportunity to live in a country directly relevant to my studies is invaluable. Tarry said she wanted to expand her area studies to the Caucasus region and study Georgia as a country on its own, not in relation to the Russian empire or the Soviet Union. 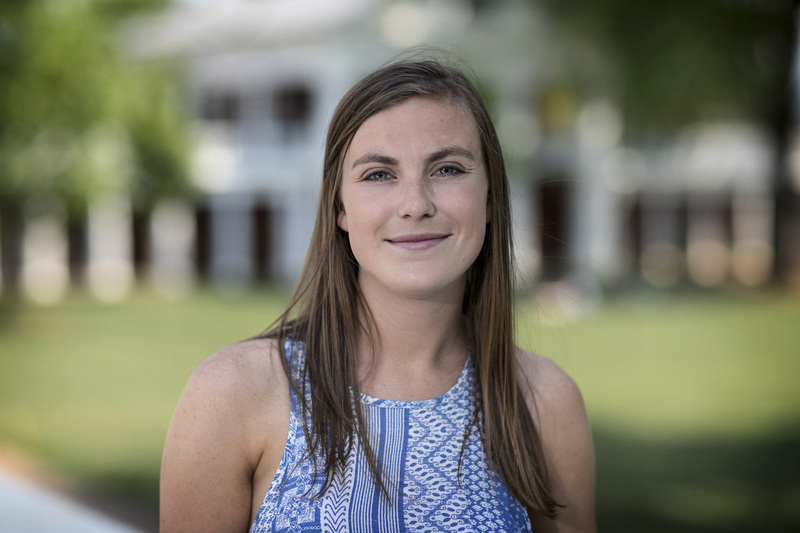 A resident of Brown Residential College, Tarry is a member of Phi Beta Kappa; was vice president for programming on the Jewish Religious Life Council at Hillel at UVA; a member of the Slavic honors society Dobro Slovo; recipient of the 2018 Thomas Hammond Award in Russian Studies at UVA; and a member of Brown Residential College. A graduate of Maggie L. Walker Governor’s School for Government and International Studies, Tarry plans to work for a few years and then attend graduate school. Mary-Collier Wilks of Baton Rouge, Louisiana, a doctoral student in sociology, will research differences between U.S.- and Japanese-funded international nongovernmental organizations supporting gender development programs in Cambodia. Wilks, who will live mostly in Phnom Penh, became interested in this topic while working at a development organization in Cambodia. She plans to develop relationships with local development practitioners and women’s rights advocates in an effort to establish trust and embed herself in Cambodia’s development community. Wilks will work closely on this project with her adviser, Jennifer Bair, associate professor and associate chair of the Department of Sociology. 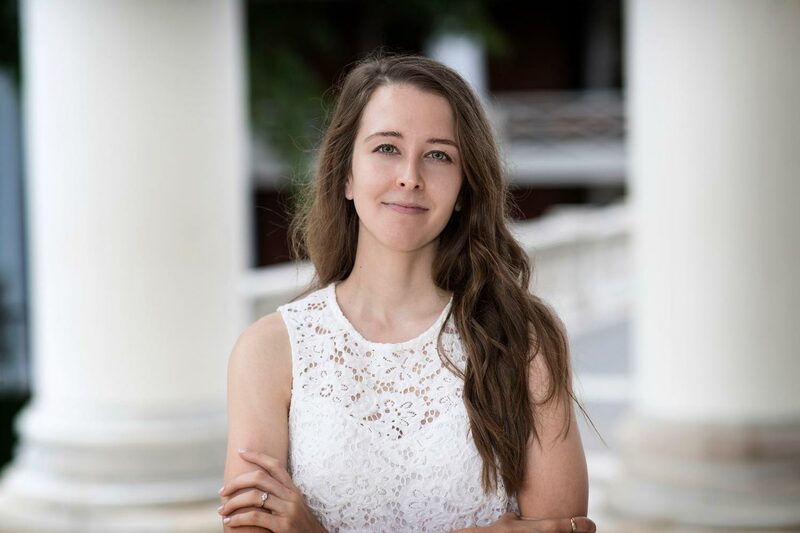 A graduate of Eckerd College in St. Petersburg, Florida, Wilks is a Cultural Orientation Reflection Engagement International Seminar instructor in UVA’s International Studies Office and a Global South lab fellow, as well as a member of Phi Beta Kappa. She received a Foreign Language and Area Studies Fellowship to attend Khmer intensive summer language courses at the University of Wisconsin-Madison; UVA’s Arts, Humanities and Social Sciences Summer Research Award; a Double ’Hoo Award for research in Cambodia; a Nelson Family Southeast Asia Studies Grant; UVA’s Global South Lab Fellowship; and the Center for Khmer Studies Dissertation Fellowship. Niko Marcich of Springfield, a 2018 graduate with degrees in foreign affairs and international economics, with a minor in Latin American studies, received a Fulbright grant to teach English in Peru. Marcich said the Fulbright grant will allow him to get a better understanding of Peru and its history and culture. Susan Lampazzi, who taught Marcich’s Spanish classes at West Springfield High School, believes he will be an excellent English teacher in Peru. Lampazzi said she stayed in touch with her former student while Marcich was at UVA, and that they would talk for hours in Spanish when he visited home. 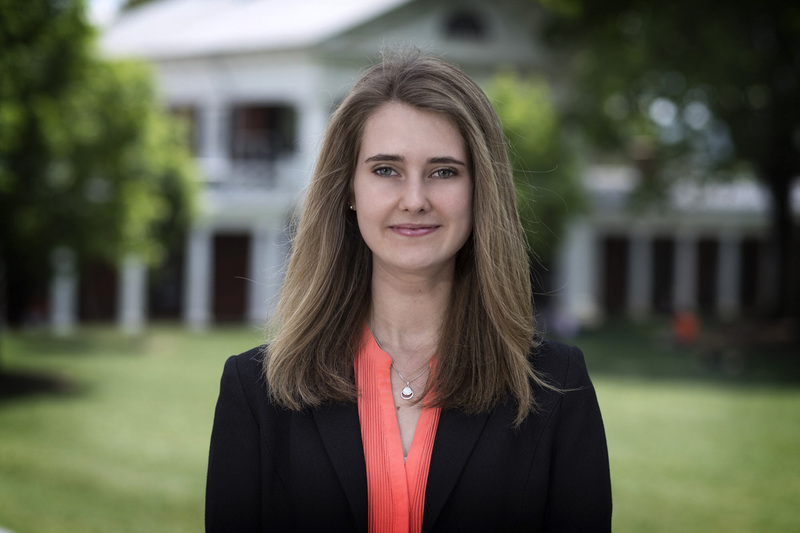 At UVA, Marcich was on the Dean’s List for five semesters. He was the founder and host of Global Inquirer, an undergraduate research podcast on international relations. He was also a member of the International Relations Organization and a volunteer for Latino and Migrant Aid. In the future, he plans to spend time in service to others in a setting such as the Peace Corps. Kerem Coşar, an associate professor of economics, who recommended Marcich for the Fulbright, said he has many positive qualities.